By Ian Pollard in News and Views on 27th July 2017 . Lloyds Banking Group LLOY claims it is transforming its Key Customer Journey and if you look at the additional billion pound or so compensation which it is being forced to cough up to customers whom it cheated over the years, it certainly needed transforming. In the second quarter it had to make additional provision of 700m as PPI claims against it rose above previous expectations. Then in the same quarter came a further hit of 340m. as it was forced to reimburse mortgage arrears fees which it had illegally charged to customers. And this is not some fly by night hole in the wall operation, its a bank for god’s sake which claims it wants customers to trust it with their money. As for its half years results Lloyds claims to have produced another strong set, with the UK economy in resilient mode. The interim dividend is being increased by 18%. Underlying profit for the six months to the 30th June rose by 8% whilst statutory profit before tax was up by 4% and operating costs were down by 1%. Diageo DGE reports operating profit up by 25% and net sales up 15% for the year to 30th June. On a like for like basis operating profit rose by 5.6%. With basic earnings per share up by 18%, the final dividend is being increased by5% and a share buy back program is announced of up to 1.5 billion pounds. 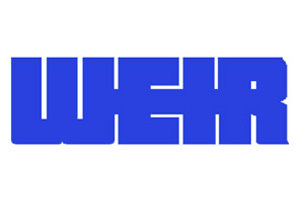 Weir Group WEIR North America has produced what it describes as a great set of results for the half year to 30th June, with both main businesses moving from an intense downturn into a recovery and growth phase. Revenue growth in North America reached 69% and generally growth overall accelerated, enabling an upgrade to be made to full year guidelines. Growth in orders of 11%has put Weir in a position where it can deliver strong constant currency revenue and profit growth for the full year. Despite that profit before tax on a constant currency basis is still down by 8%, although on a reported basis, there is a rise of 12%. The interim dividend remains unchanged at 15p per share. Rentokil RTO is increasing its interim dividend by 15.2% for the half year to the 30th June afte a 12.5% rise in adjusted profit before tax and 10.9% in adjusted earnings per share. On a like for like basis revenue grew by 4.2%. The CEO i pleased with the continued momentum of the business. Tate & Lyle TATE has made an encouraging start to the year with first quarter profits in constant currency terms, and volume both ahead of last year. Volume growth was strong in Asia Pacific, Latin America, Europe, the Middle East and Africa.Only North America was soft, with modest volume growth.